Home » india news » Kashmir turmoil: Who is to blame and what is the way out? The institutions which are supposed to restore sanity to the Kashmir Valley appear to be opposed, or at least indifferent, to this idea. Right from the 1990s, whenever there was escalation of violence in the Valley the captains of these institutions reviewed their strategies and made amends. From last summer – after the encounter in which Hizbul Mujahideen commander Burhan Wani was killed – the situation has been allowed to drift with no visible change in strategies. Today all Kashmir-watchers are of the opinion that Kashmir is fast slipping out of hand and if something drastic is not done before the darbar moves to Srinagar, this summer would be bloodier than any year since 1990. As a perpetual optimist, when it comes to Kashmir, I sincerely believe that both the Central and State government are capable of reversing the trend. But what seems to be lacking is commitment and sincerity. Politicians of the state hover around exhibition of blatant personal power which accrues after their election or appointment to any institution of ‘profit’. The main leaders of the two regional parties – National Conference and People's Democratic Party – give statements from time to time but leaders do not even show any interest in the resolving the crisis at the ground level. There is absolute silence from this quarter when a police officer (Kashmiri) is killed or a civilian is brutally murdered by militants. There is lack of political will in the cadres and regional leaders of these parties to squarely face the atrocities of the militants. On the other hand, local militants are freely allowed to ignite a situation and see the ‘tamasha’ unfold leading to police and army action which often gets bad publicity and affects the morale of the security forces. Can we expect politicians to come forward and take on this miniscule minority of militants in their area of influence? The answer is a big no, as their leaders themselves are quite clear that the militants need not be tackled politically in the field. Some miserly statements here and there when CRPF Jawans are treated badly by stone-pelting youth speaks volumes of their resolve to govern and bring the situation to normalcy. Of the two regional parties, the one out of power tends to evoke the sentiments of the youth indulging in violence, comment on everything going wrong since they left power and will even suggest opening a platform with secessionists (Hurriyat). Yes Kashimir is a humanitarian crisis and needs a political solution but the people who are supposed to come forward are hiding behind a facade of fear. Have we heard of any important mainstream politicians being harmed in the last two years? While on a visit to the Valley in June 2015, I had the opportunity to speak to a section of security and police personnel from State and Central Police organisations. All of them uniformly shared the view that violence and militancy was a thing of the past and everyone in Kashmir was interested in doing their daily routine and business. The booming business of tourism was something to feel good about. Tourists were flocking not only to Gulmarg, Pahalgam and Sonmarg but did not hesitate to go to the interiors to Yusmarg, Wular lake, Kokernag, Aharbal and Daksum. While everything seemed to be looking up on the militancy front, an operational officer of the Jammu and Kashmir police shared that the number of registered militants had gone down drastically and they were also on the run. However, he mentioned that a new trend was discernible where old militant leaders now were giving weapons to youngsters to execute acts such as the killing of a lonely police constable in the market place. About a dozen killings of this nature had been reported from districts of South Kashmir – Anantnag, Kulgam and Pulwama. 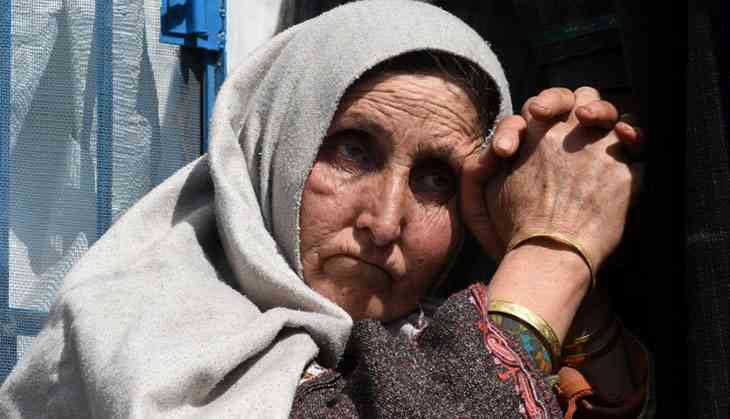 Due to a faulty amnesty programme, the government had taken a decision despite the opposition from the security forces and intelligence agencies, to bring back militant leaders who were based in Pakistan Occupied Kashmir, to the state. Several groups of militant cadres and their families were allowed to come back after long years of stay in PoK/Pakistan. After their arrival, their movements were to be regularly monitored. It seems this was not done meticulously and the result was that some of these ex-militants were initiating the youth into militancy. The army of the militant youth was growing as the police failed to keep an eye on young Kashmiris leaving their homes. This time they were not going across but seemed to be waiting for an opportune moment to strike. This was the same time that in the Kashmir Valley and especially in South Kashmir, a silent revolution was slowly picking momentum on social media. Youth like Burhan Wani were regularly appearing on social media, eulogising armed struggle against the ‘enemy’ security forces. Looking back to the spurt of violence and large scale disturbances which followed the encounter of Burhan Wani, the security forces and intelligence agencies failed to see the potential of these growing ‘neo-militants’. With every taste of success against security forces, they were getting emboldened. The timely escalation of violence by Pakistan on the borders and several actions initiated by Pakistan-based militant groups like Jaish-e-Muhammad and Lashkar-e-Tayyeba emboldened their resolve to do something decisive. The casualness in approach of the security forces in arresting this trend in 2015 gave rise to full blown civilian unrest resulting in bloodshed on both sides. The Kashmir Valley continues to witness violent incidents on a day to day basis and the situation is getting from bad to worse. At regular intervals, the militants are allegedly able to initiate incidents in which the action of security forces gets highlighted. The Central government needs to immediately review the working of security forces and the intelligence agencies in the Valley. There is a need to make the leadership of these forces realise that they are accountable for even small lapses. 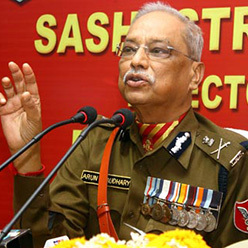 Co-ordination between State police and Central police force should be made flawless. Intelligence sharing should be free, swift and lead to exemplary operations. The role of the Army should be limited to guarding the border and fulfilling its role as an anti-insurgency force. The borders needs to be completely sanitised as this is the time when Pakistan tries to push in more and more militants. The J&K police and central police forces have to show more commitment to the task in front of them. Police personnel are coming under immense strain and pressure from local population not to act against militants. Such a trend needs to be immediately addressed and the morale has to be kept high. Talking to Pakistan or the secessionist leaders in the Valley now would be a futile exercise. However, intelligence agencies should keep the dialogue open with the important and amenable secessionist leaders. The leaders of the mainstream political parties need to realise the threat to their own existence and try to open a debate with the disgruntled youth who are getting lured into the path of violence. The Chief Minister needs to be more assertive and accountable. She needs to show some resolve and spell out her mind to the administration and goad to them to take action. The J&K police is capable of sorting this out in their own way. It was done in the past and it can be done now. The state and its welfare-related departments should be more visible and deliver the projects meant for the public in time. The ultimate objective would be to open dialogue with all stakeholders, including the leaders of the young brigade, who are angry at present and assuage their feelings by bringing projects which could give them employment and make them see reason. The ruling coalition should be in constant touch with the Opposition and try to make them willing stake holders in addressing the problems that the Valley faces today. लेखक पूर्व पुलिस निदेशक हैं. वो इंटेलिजेंस ब्यूरो में भी काम कर चुके हैं, जहां उन्होंने लम्बे समय तक कश्मीर का प्रभार देखा.